A couple years ago we decided to highlight a few of our favorite cocktails during the last week before New Year’s Eve, and it’s turned into a fun tradition for us. This week we’ll continue the tradition with four or five of our favorite drinks from this year, the cocktails that we think will make any New Year’s Eve party even more festive. Our first cocktail this week is the Vaina, a Chilean cocktail made with ruby port, cognac or brandy, crème de cacao, egg yolk, and a touch of cinnamon. 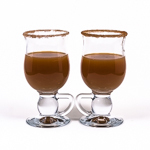 Sweeten with some confectioners sugar and blend until it’s nice and foamy, then pour into flutes or mini glasses. 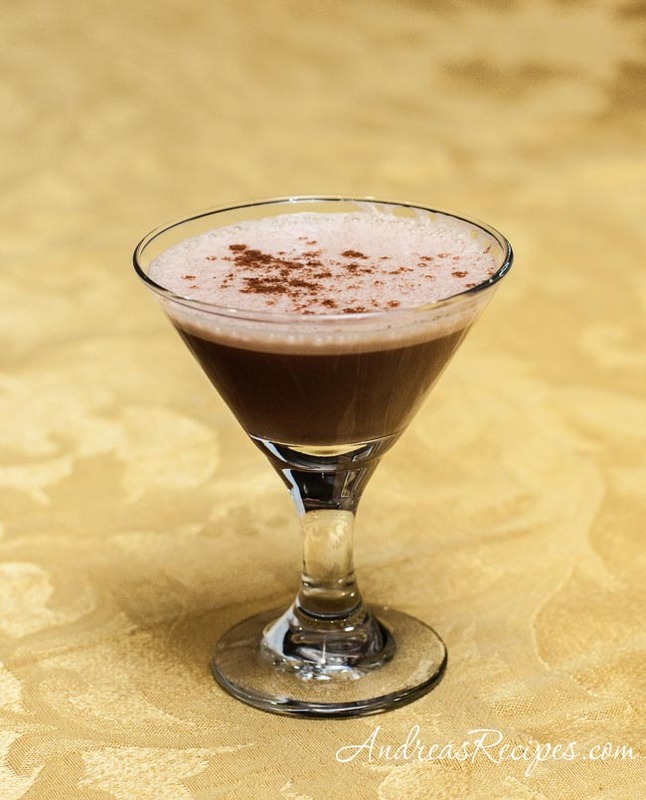 It’s sweet and chocolaty with a hint of cinnamon, and is one of those drinks that goes down easy but can hit fast, so we think smaller is better. WARNING: Since the egg yolks are raw, please use the freshest eggs possible and make sure they have been stored properly. 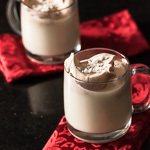 In the blender, mix the port, cognac, crème de cacao, confectioner’s sugar, and egg yolk with the ice until foamy. Pour into the flute or mini cocktail glasses and garnish with a pinch of cinnamon. I always really enjoy your New Year’s cocktails, and wish I could drink them all! This one almost sounds like a wonderful cake to me. Thanks T.W. The bar is always open anytime you want to visit. Hi Juan. 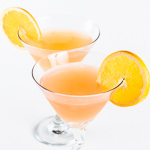 The egg yolks must be raw, uncooked to mix in the cocktail. Cooked egg yolks will not mix in properly. Of course, choose the freshest eggs and make sure they have been stored properly for safety.